The introduction opens the essay. It is a short paragraph – usually about THREE sentences. In an argument essay, it usually describes or summarizes both sides of the present situation and says what you are going to do in your essay. Read more about Introductions here. The Body is the main part of the essay. 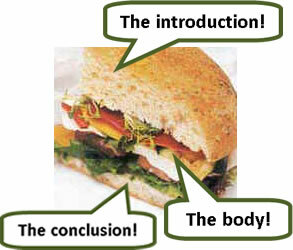 In an argument essay, it is divided into two or three paragraphs, giving your opinion and reasons. Each paragraph in the body is between FIVE and SEVEN sentences long. Read more about the Body of the essay here. The Conclusion is the end of the essay. It is a short paragraph – about THREE sentences. It often has the same idea as the Introduction, only in different words. You can read more about Conclusions here. Should foreigners pay more? (short) In many places, foreign visitors are charged more than locals when they visit cultural or tourist attractions. Do you agree or disagree with this?